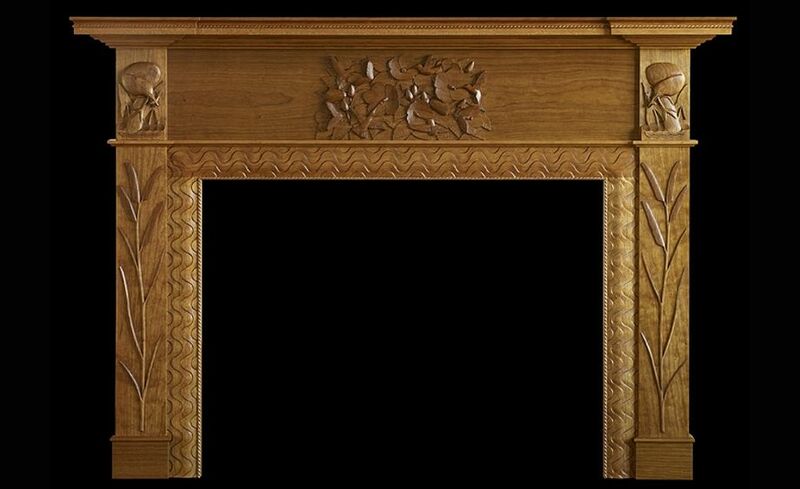 This mantel was commissioned for a home on Southport Ct harbor that was undergoing a complete renovation. It was designed to fit the room space and an existing fireplace opening. 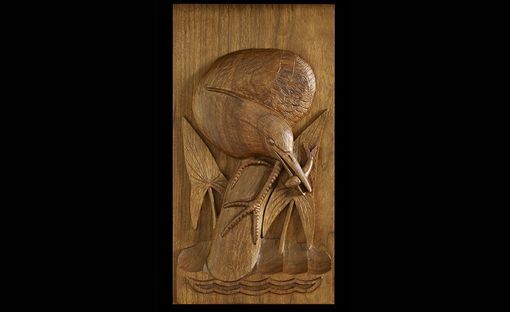 The clients were looking for something truly special in this piece and the surrounding environs are well represented in the carved subjects and fluid molding. 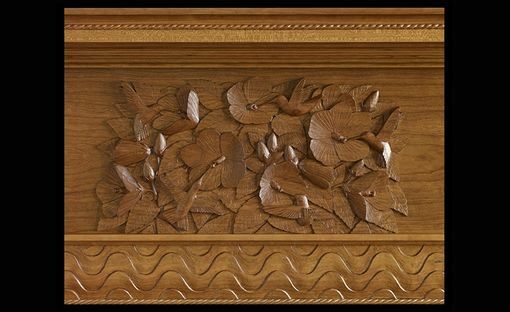 The clients had a passion for hummingbirds which gave the mini birds the edge for the prominent centerpiece carving. There are five hummingbirds fluttering in rose-mallow blossoms commonly found along the water's edge. This is a fine example of how a custom mantel can be made specifically for your wishes.